Agra falls within the Golden Triangle region, along with Delhi and Jaipur. Domestic and international tourists often combine their trip with Delhi and Jaipur, and their surroundings. 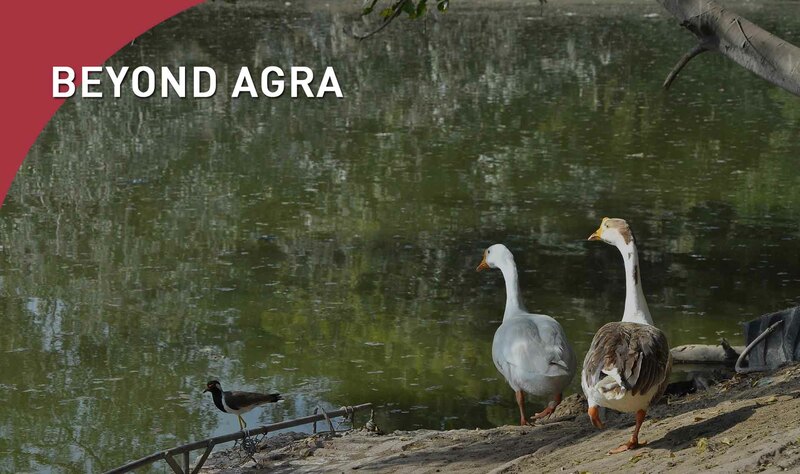 Closer to Agra, Kelaodeo National Park, formerly known as the Bharatpur Bird Sanctuary, has beautiful birds, deer, monkeys and other forest animals. Migratory birds can be seen here in certain seasons. It is popular amid tourists and photography enthusiasts. National Chambal Sanctuary is a ten hour drive from Agra, and home to crocodiles, alligators freshwater dolphins, and domestic and migratory water birds.